Tickets need to be pre-booked by calling the center on +911146041709 or by visiting the center. There are limited seats, so hurry! Please bring your children in clothes that can get messy and stained. Age Group : 4.5 to 8 years. 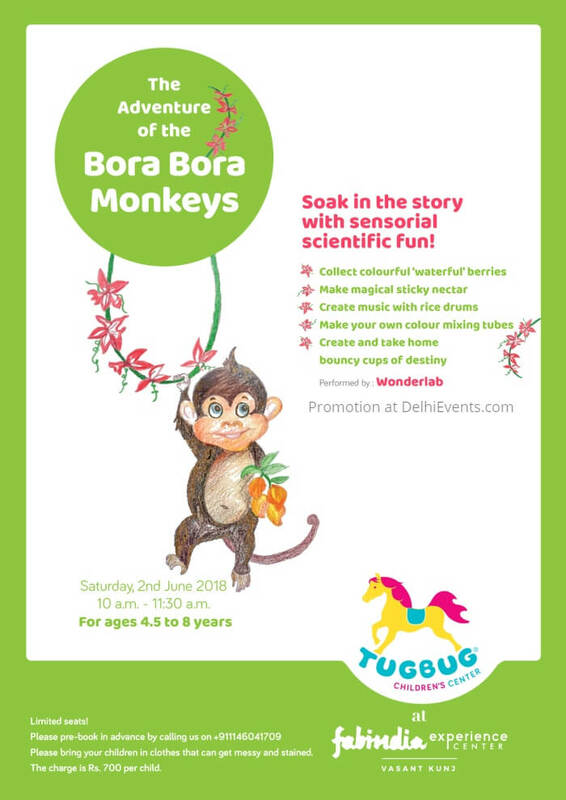 Event Description : KIDS WORKSHOP "The Adventures of the Bora Bora Monkeys: A story and sensorial science session"